Rent the Runway’s Unlimited subscription service is very popular! So popular, in fact, that it has reached it’s maximum capacity. At this time, in order to ensure a quality experience for enrolled customers, Rent the Runway must pause new enrollments to the service. Effective immediately, Rent the Runway will not be accepting any further subscription enrollments. All new enrollments will be placed on a wait list. As soon as the Unlimited service is open again, we will let you know. However, at this time, Rent the Runway does not have an estimated re-open date. 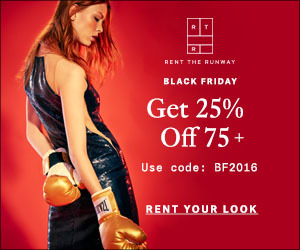 What do you think about Rent the Runway? ← BoxyCharm: Check out this Month’s Sneak Peeks! !